Thomas Sowell is the Rose and Milton Friedman Senior Fellow at The Hoover Institution. He studied economics at Harvard, Columbia, and the University of Chicago and has taught at Cornell, UCLA, Brandeis, and Amherst. He has published over 45 books and written countless articles and op-ed pieces. Paul Johnson has described him as “the most original and interesting philosopher at work in America.” In 2002 Sowell was the recipient of a National Humanities Medal. While Sowell prefers not to be pigeonholed, he has said that he is probably more of a libertarian than a conservative, and his books represent one of the most systematic attempts to present a libertarian analysis of society, politics and economics. 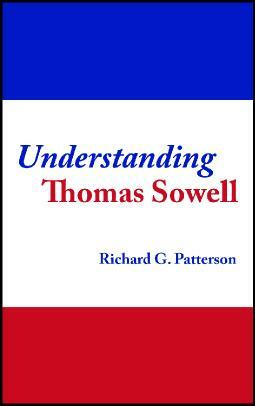 Understanding Thomas Sowell explores the core values and assumptions on which Sowell’s thought is based. Starting with Sowell’s view of the role of intellectuals in our society, Patterson digs down into the conceptions of knowledge and reason underlying Sowell’s ideas about systemic rationality as represented by the functioning of the free market and the evolution of culture. He examines Sowell’s ideas about the use of rhetoric in political debate and the conceptions of freedom, morality and justice informing his critiques of current policy. His goal is to pinpoint where liberals are most likely to part company with Sowell in the hope of finding some basis for genuine dialogue or debate instead of the name calling and preaching to the choir so prevalent in the media these days.